Lately, I've been feeling like such a negative nancy. I'm not sure if it's because of the seasonal changes or because I'm just unhappy with my life but one thing I do know is that it needs to change. Instead of finding the joy in life, lately I've been wanting to punch my fist through a wall and that's really no way to live your life. Things like an unhappy work situation, traffic causing me to get home in 45 minutes vs the 20 it should normally take, and somebody taking my parking spot have made me rage into the incredible hulk. Well no more of that. You are in control of your own happiness and I plan to do just that! If you've followed me on Instagram from back in the day, you know I did a '100 happy days' challenge where all I did was post things that make me happy, each day for 100 days. Some days, I truly couldn't think of something that made me happy and that's okay because I was focused on finding the happy and not honing into the negative. One thing that makes me happy is blogging. This makes me happy because I can vent my thoughts out there and just express myself without having any stress. So, what I plan to do is post one blog post every day for 100 days about things that make me happy. I will continue to post some reviews on things I enjoy - makeup, clothes, etc - and also blog about certain things so my readers can get to know me better. I hope my posts aren't overwhelming but I truly hope that you enjoy reading them! 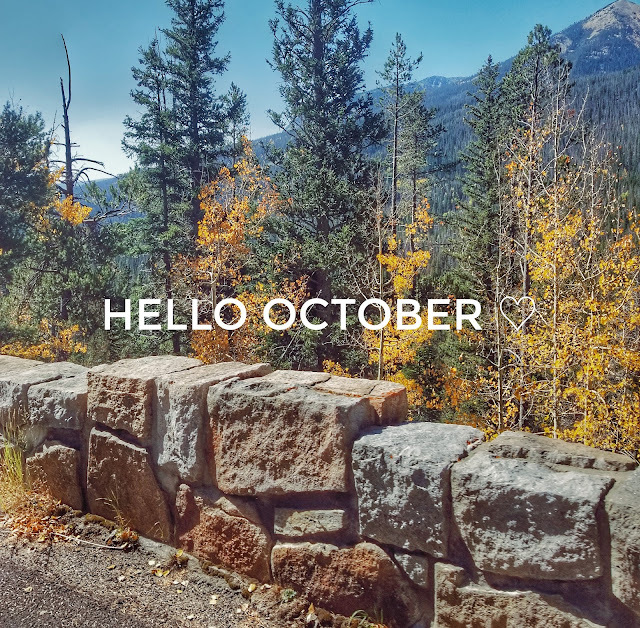 Hello October. I am gonna make the BEST of you!